BBC Four is to recreate the opening night of British Television, marking 80 years of television this November. Announcing the event at the Edinburgh TV Festival, BBC Four channel editor Cassian Harrison said the event was going to be an "ambitious attempt to restage the very first official broadcast on British Television." In Television's Opening Night: How The Box Was Born, Dallas Campbell (Bang Goes The Theory), Professor Danielle George (The Christmas Lectures) and Dr. Hugh Hunt (Dambusters: Building The Bouncing Bomb) join forces in an attempt to restage the first official TV broadcast, which was broadcast from Alexandra Palace (pictured) on 2 November 1936, marking the start of a regular BBC Television service, albeit geographically restricted to south-eastern parts of the UK. 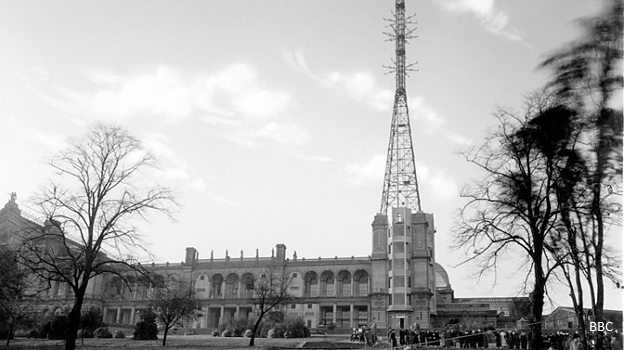 The Second World War put a temporary halt on TV broadcasts, and it wasn't until the 1950s before television was expanded to cover other areas of the UK. With no surviving recordings of the first night of television, the BBC Four team will attempt to piece back together and recreate every aspect of the show from scratch - from the variety acts to the cameras - using the original technology and filming techniques to capture the excitement of the day. The system that went first on opening night, which is due to be recreated for the programme, was a seven-feet tall mechanical monster built by John Logie Baird’s company. It was called the 'Flying Spot' and at its heart was a huge steel disc spinning almost at the speed of sound. Deep Water, A four-part crime drama set in contemporary Bondi: the series is inspired by the unsolved gay-hate crime epidemic that swept through Sydney in the 80s and 90s, known as the Bondi Beach Murders. Presented by Gregg Wallace, this historical re-enactment gameshow puts two teams of battle enthusiasts against each other as they take control of ancient forces and compete against a computer, pre-programmed by historical experts The Creative Assembly, before taking each other on in one of history's famous ancient battles. The Green Hollow: A Poem in the voice of Aberfan Then and Now, by Owen Sheers, marking the 50th anniversary of the Aberfan disaster when, on 21 October 1966, a coal slag tip slipped onto the village primary school and local houses, killing 116 children and 28 adults. It was an event which touched people around the world. Written by poet, novelist and playwright Owen Sheers, the poem draws on interviews with the contemporary community about the village today, as well as survivors of the disaster and those who travelled from outside to help in its wake. It is the voice of Aberfan as it was before the disaster and how it is now.